He would have loved the first presidential debate of the 2016 general election, appreciating the clash of ideas and flash of personalities. And he would have understood the issues knocked about as few could or would. He was that smart. But Peter would not see Hillary skewer Donald. He would die 48 hours prior to the television spectacle. A fast, dizzying transition from life to death. So fast that it would take months for me to understand what had happened, months for me to understand that my hometown of Arlington,VA would never feel the same again. With his quiet, unfailing support, he had made my girlhood tolerable, made it possible for me to return to our high school reunions, wrapping myself in nostalgia for the good old days. But it would not take months for me to realize that he was the first boy that I had ever loved. And he was the first and only boy that I had ever loved without recriminations and pain. Even when my inadequacies exasperated him, he never made me feel less than his equal. Our senior year, he invited me to be his navigator for two nighttime car rallies, sponsored by our school's auto club. We lost the first one because of my poor navigation skills. The next month, we won. I learned how to read a map – by flashlight. With Peter, the defeat and victory were equally glorious. That year, everything was fresh and glorious with Peter. When I began to investigate the paranormal, Peter bought me Tarot cards. When I informed him that I heard ancestral voices at night, he informed me that I was nuts. Missing my girlfriend who had moved away to attend college in New Mexico, I bonded with her younger sister, Sue, and spent weekends at her house. With her parents away in the country, we invited Peter to join us and ended up playing house. As the father, Peter would shout for his coffee and newspaper; as the mother, I would slam his coffee down on the table and rip the newspaper from his hands; and as the daughter, Sue would spill the coffee and rip up the newspaper. We were role playing, donning conventional robes, which we would upend and learn soon enough to doff. Ten years later, Peter had landed in Boston, I in New York. Reunited at our first high school reunion, I savored how he gracefully picked up my sweater and carefully wrapped it around my shoulders. A decade later, I had returned home after a nasty break-up with a man that everyone had assumed I would marry. Peter had returned home to attend the funeral of his father. I wrote him a note, and he called on me. We sat shyly on my parent’s back porch, aware that we had made choices different from most of our classmates. Peter had discovered that he was gay. And I had discovered that I was an artist. Our hometown was no longer our home. Fifteen years later, we met up at a friend’s house before our reunion festivities began. Peter had married; I had not. But we were both struggling in dysfunctional relationships with charming, talented alcoholics. Wondering about my own desire and chance to have children, I asked him, "Do you and your husband want to have a family?" He looked at me aghast, “How could we have children? My husband is a child.” I had never seen Peter so unhappy. We never openly spoke of our discoveries until five years later when, once settled into our differences and disentangled from messy relationships, we could revel in one another. At our last reunion together, our differences were celebrated. One classmate pumped me for information about my next acting gig. Another classmate sidled up to Peter, “You look so good. I wish that I were gay.” Peter cracked his wry smile. The next morning, we celebrated our differences by ourselves. At breakfast, I showed him my playbills. He read them as thoroughly as my grandmother would have. He then told me about his efforts to revitalize economically depressed communities – and about his divorce. I disclosed that my charming alcoholic boyfriend had actually died of a drug overdose. Peter listened intently before saying, “I still find vodka bottles that my ex hid.” We fell in love all over again. Later that year, Peter and his mother met me for lunch in New York. He was so proud of his vibrant eighty-eight year old mother, who was remarried to a childhood beau. With an ever so slight smile, she recalled how, in eighth grade, Peter had challenged her to get a job so that he could attend language camp. He wanted to learn German. So, she did indeed get a job with the Arlington County school system, and Peter did indeed attend language camp and learn German. How could she not be proud of her son? Peter and I continued to correspond, sharing our respective wishes to found our own companies. Two years later, we both did. He founded his own consulting firm, and I, my own theater company. A supremely modest man, he deflected my praise and sent me a congratulatory message like no other: “You are making a difference for women in New York theater.” Not even my grandmother could have provided such support. That was my last message from Peter. The most private of men, he would disappear from my life only to reappear at the next high school reunion, as connected to me as always. I had expected to see him at this fall’s reunion, eager to share my trove of Hillary paraphernalia with him and ask if he remembered our sitting together as hopeful teenagers in front of Arlington County Democratic headquarters on election nights. I had wanted to tell him how much I valued our history together — and his vast mind and heart. I even imagine telling him that, in another life, we could have walked off into the sunset together. And I imagine Peter cracking that Mona Lisa smile. 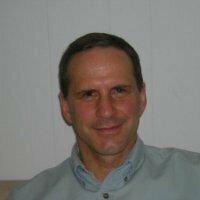 Peter Douglas Kwass, born May 31, 1953, passed away on September 25, 2016 in Milton, MA.